Being the most complex life on earth, we, humans, perform a number of complicated acts every day. Breathing is the simplest one among them that we need to perform every moment. But this simple act of breathing can also turn out to be a challenge at times. Imagine the time when you had a stuffy or congested nose last time. You could hardly breathe smoothly and the struggle left you feeling dreary, right? While medications can give you relief from such situations, it is not at all a wise idea to become dependant on them every time. Hence today, let us talk about nasal congestion and some of the most effective home remedies for it so that you can breathe always easily and naturally. Nasal congestion is basically a condition where the nose is blocked by mucus. The build-ups of mucus in the nose mainly happen due to the swelling in the nasal cavity. Nasal congestion generally occurs the most during the winter but there could be a myriad of reasons behind it. If not treated on time, the condition can worsen and lead to further complications, such as a headache, ear infection, etc. 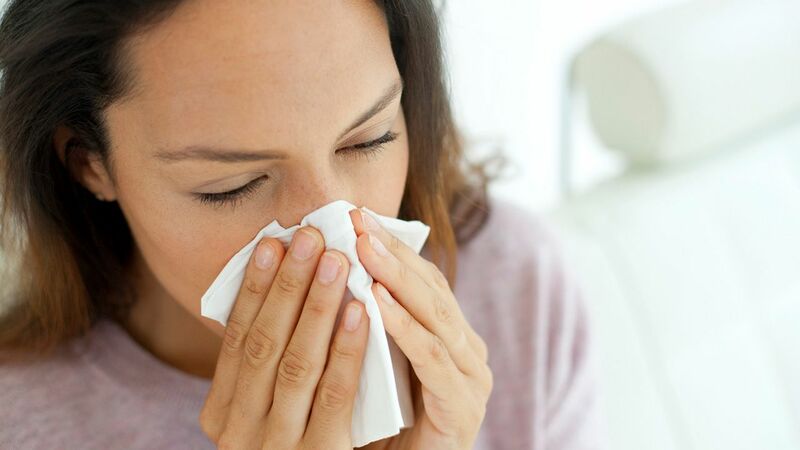 As said earlier, there are several factors responsible for the congestion of our nose, which include a cold, flu, nasal allergies, or a sinus infection. But whatever the factor is, there is only one root cause i.e. the irritation of nasal blood vessels. Our nose contains tons of blood vessels and each of them has valves. When an irritant stimulates our nose, our nervous system also gets stimulated, which opens up the valves in nasal blood vessels. This increases the flow of blood to the nose, making the nasal passages swell up. As a result, the nose gets blocked and it becomes difficult for us to breathe. When you have a congested nose, it becomes really tough to deal with the consequences. It becomes even worse for people suffering from sinus problems as they tend to get affected very easily. Hence, it is essential to know about the symptoms beforehand. some of the most common symptoms of nasal congestion are breathing difficulty, headache, difficulty in smelling, ear pain, etc. Why Try Home Remedies For Nasal Congestion? It is easy to rush to a doctor and start taking over-the-counter medications while suffering from nasal congestion. But even if it gives you temporary relief, you may not be healed completely. Moreover, there are certain OTC medications, especially decongestants, which are used for opening up stuffy nose frequently but have more dangerous results. They are quite habit-forming and can leave you worse off by causing rebound swelling of nasal passages. Here comes the importance of non-drug approaches like simple, at-home remedies. They are not only low-cost and easily accessible options but also help us stay away from adverse reactions of the treatment. This age-old technique to clear nasal congestion it surely the most effective natural remedy you can ever try. All you need for this purpose are a large vessel or steamer, a few drops of eucalyptus oil, and a big towel. Start boiling the water in the steamer or the vessel and add a few drops of eucalyptus oil to it once it is boiled. Now, inhale the steam for as long as you are comfortable by covering your head with the towel and keeping it at least an arm’s length away from the vessel. Repeat it several times a day for best results. Eucalyptus oil is known to be great for clearing nasal congestion. Hence, you can also try putting a few drops of it on your pillow while sleeping at night. Make sure that you place the vessel on a stable surface and away from your children while practicing steam inhalation. It will ensure complete safety of you and others. Take around 2 tablespoons of carom seeds and crush them well. Tie the crushed seeds in a small, clean cloth and then, keep inhaling it throughout the day for opening up your stuffy nose. 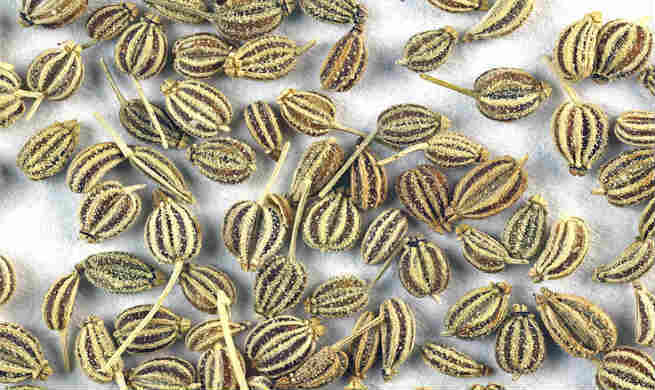 Carom seeds can also be boiled in hot water for inhaling the steam. Spices like pepper, garlic, ginger, etc. are all known to be enriched with medicinal properties that heal cold and reduce congestion effectively. Try consuming warm and spicy food, especially soups with the aforementioned spices, as they will relieve congestion and soothe your throat too. This is another simple remedy to get quick relief from nasal congestion. All you need to do is grab some black pepper seeds and crush them well. Then, transfer the powder to a pan, put it on a flame for around two minutes, and keep inhaling the fumes until your nasal passage opens up. If you have a severe sinus problem, you may end up experiencing an extreme swelling of your nasal cavity. Using the warm compression on your face as well as your eyes will give you relief in such situations. Simply dip a towel in hot water and place it on your face gently. Keep repeating the process until you feel good. 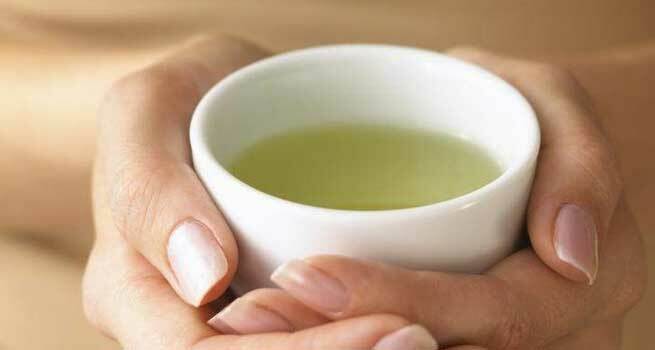 During those tough times of nasal congestion, a homemade herbal tea can turn out to be your rescuer. Brew a cup of tea comprising fresh ginger, pepper, cumin seeds, small onion, etc. and sip it throughout the day. It also helps in reducing sinus pressure to a great extent. Neti pot is basically used for nasal irrigation, which is regarded as a personal hygiene practice. In this procedure, a mixture of saline water and tea tree oil is used for washing the nasal cavity by flushing the toxins and debris out from the nose as well as the sinuses. It not only helps in clearing out the congestion by thinning out the mucus build-ups but also reduces the pain associated with it. Regular practice of breathing exercises (pranayama) and/or yoga can also help a lot in keeping nasal congestion away. However, make sure that you do it under the supervision of an expert as you may end up worsening your condition otherwise. Avoid certain types of food like banana, dairy products, etc. to steer clear of nasal congestion. Use enough coverings, especially for your ears, while going out in winter in order to protect yourself from the cold.